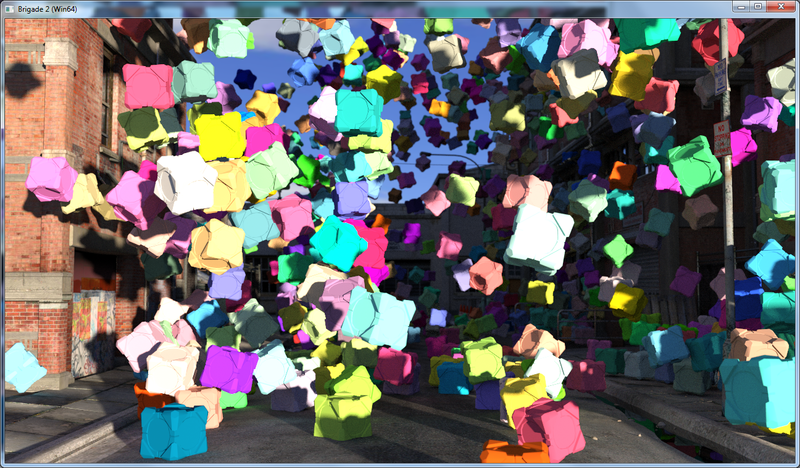 It shows 1024 dynamic instances of a Stanford dragon model of 100k triangles each, for a total of 100 million triangles, path traced with Brigade in real-time. 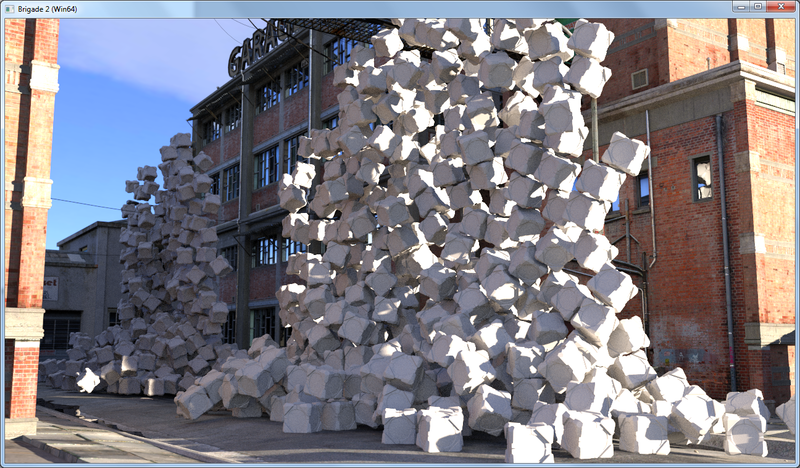 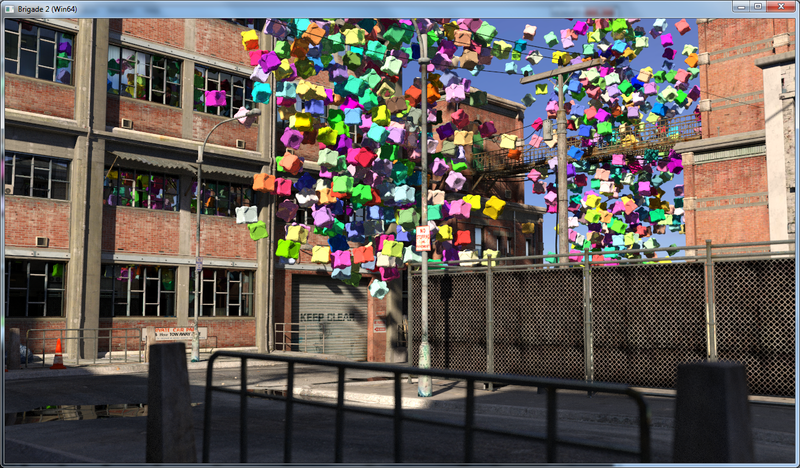 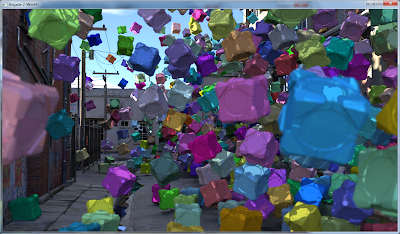 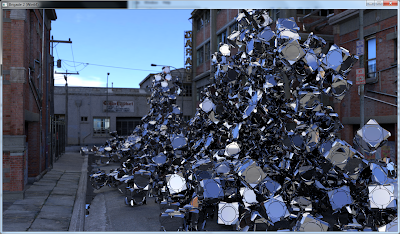 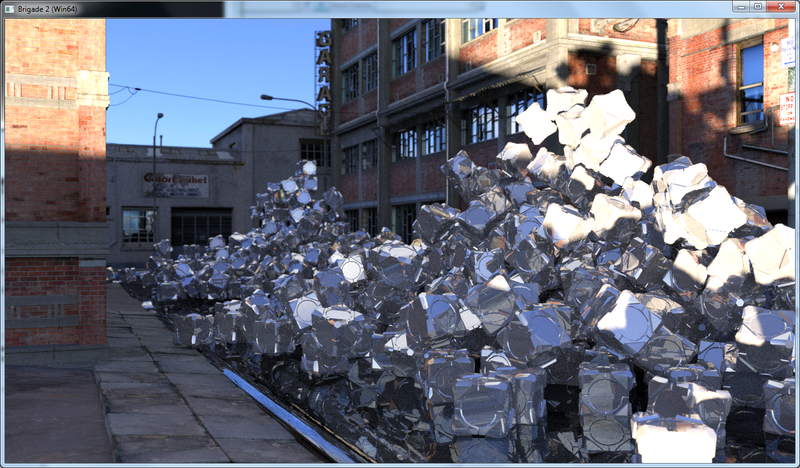 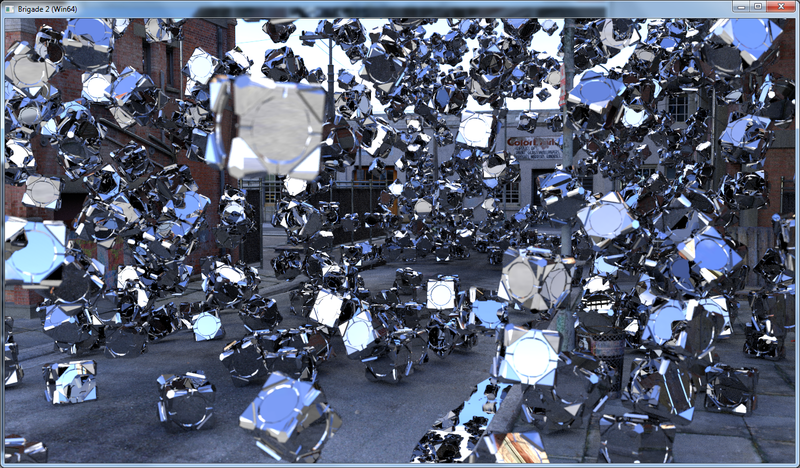 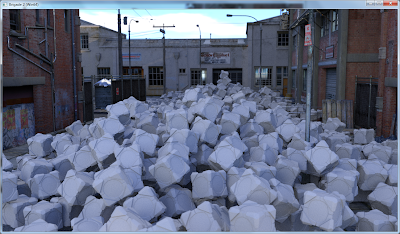 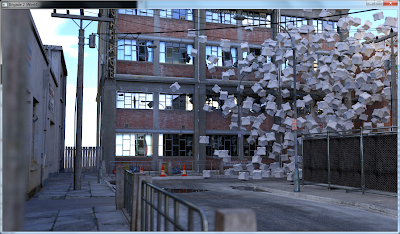 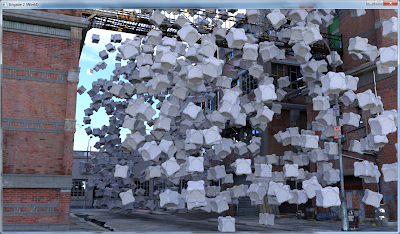 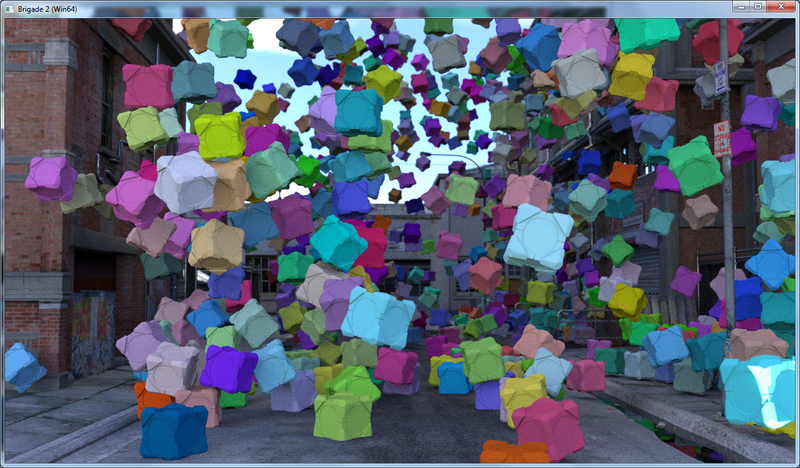 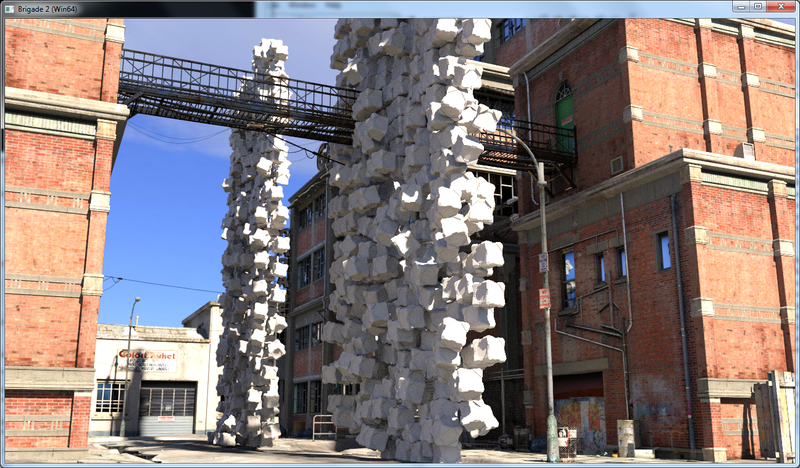 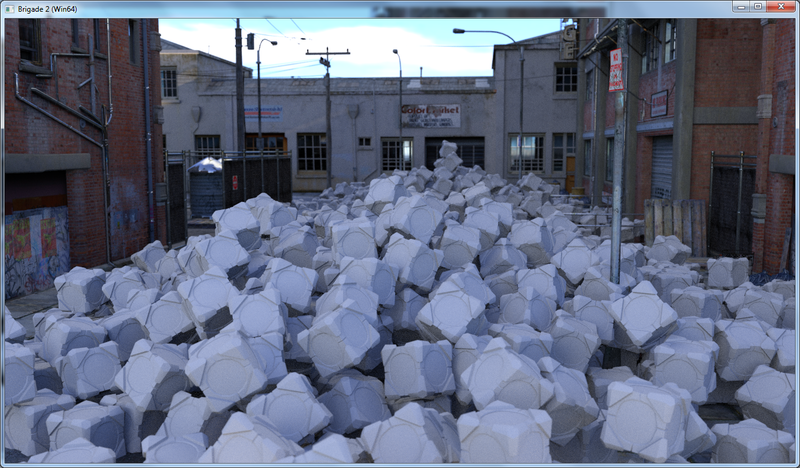 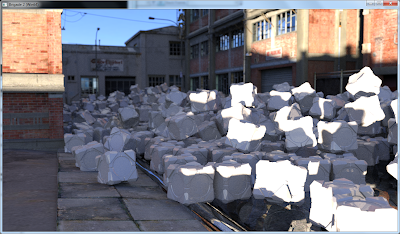 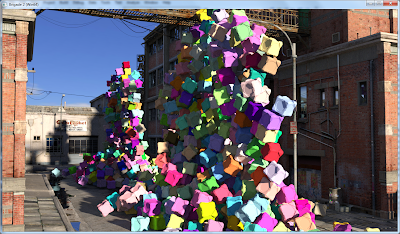 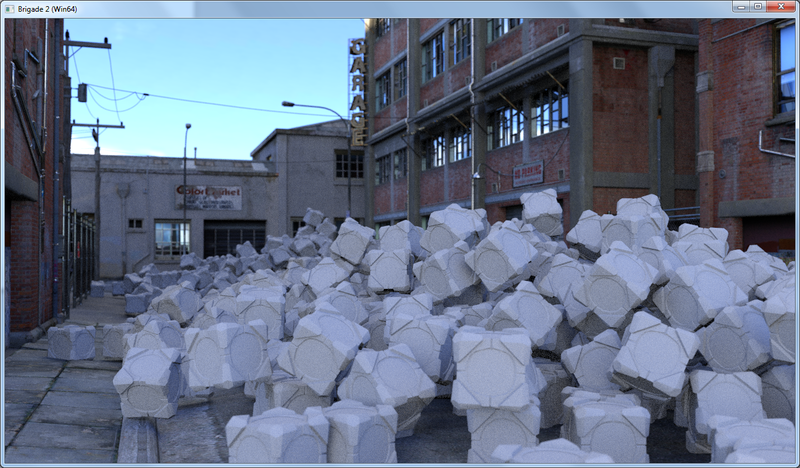 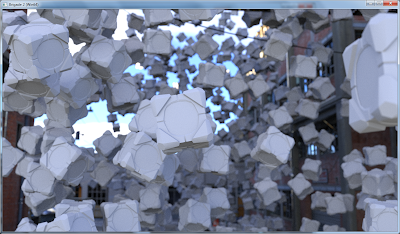 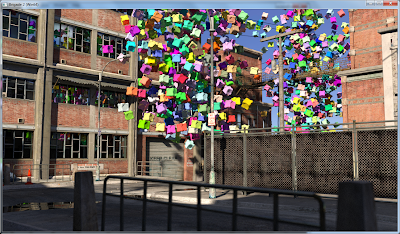 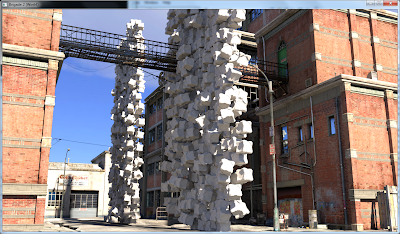 Brigade easily allows path tracing of several billion triangles in real-time (we tried 4096 randomly spinning instances of the Asian city model which contains over 400k triangles, and the framerate was surprisingly fluent). 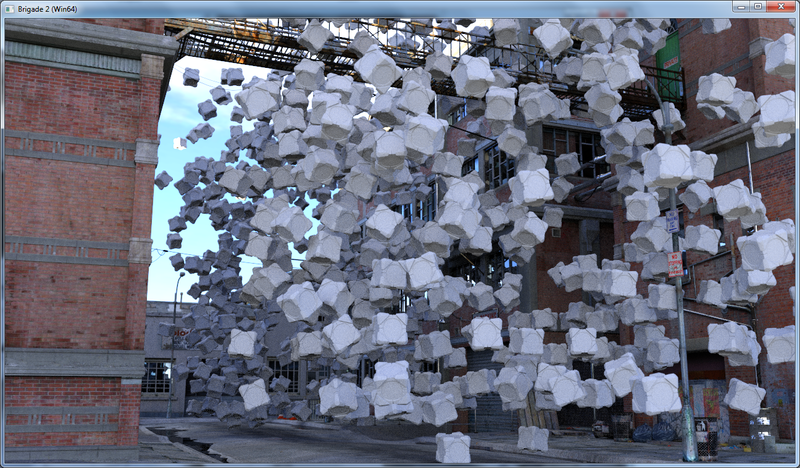 This is impossible with OpenGL or DirectX. 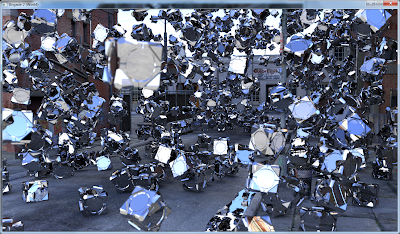 This is the prime reason why games must switch to a pure ray tracing or path tracing approach (hybrid raster/ray tracing will just not work) if game developers want to have scenes with several hundred million triangles filling the screen. 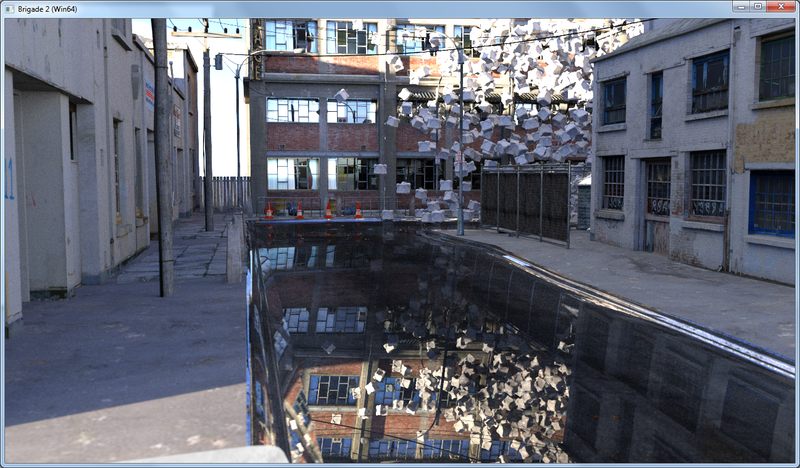 And that's not even taking the perfect soft shadows, depth of field, reflections, refractions, arbitrary BRDFs and color bleeding into account.